There were four shows over the course of the weekend. Yes, it was a busy weekend for our family! 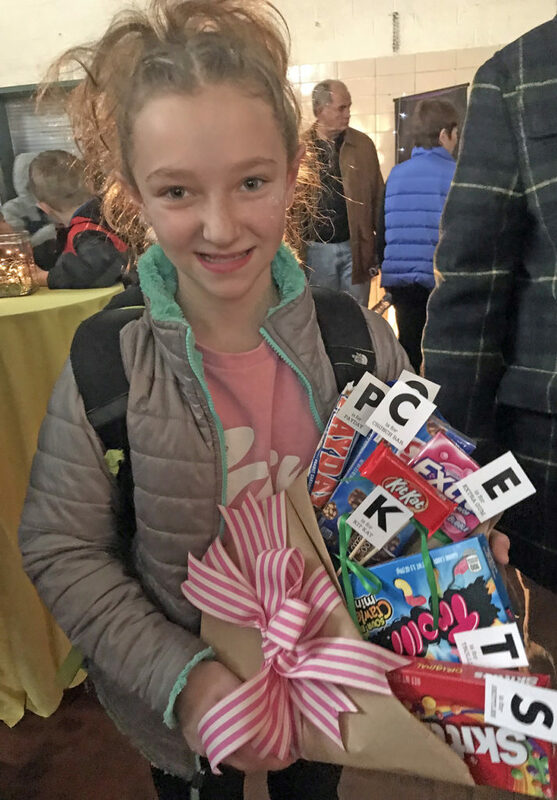 Instead of giving her another bouquet of flowers after the final show on Sunday, I thought it would be fun to give her a candy bouquet…and not just any candy bouquet, but one with candy that spelled out the name of her character. 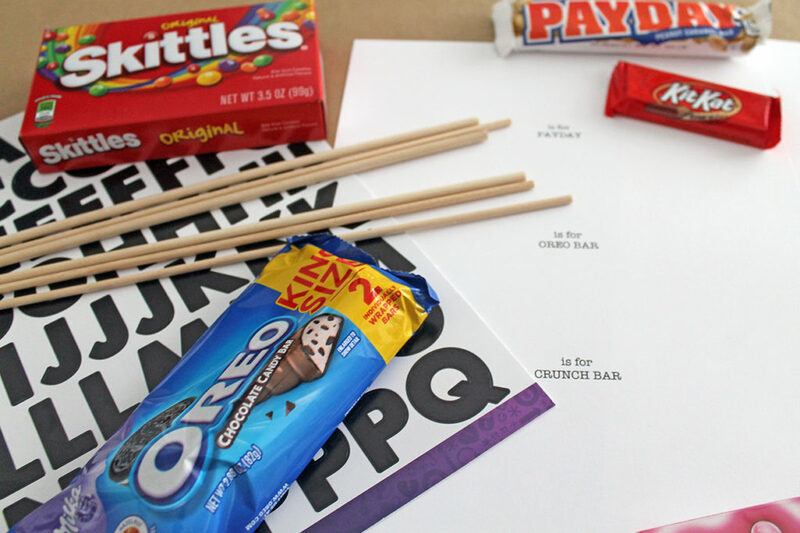 Today, I’m sharing the simple DIY for making this fun, personalized candy bouquet. 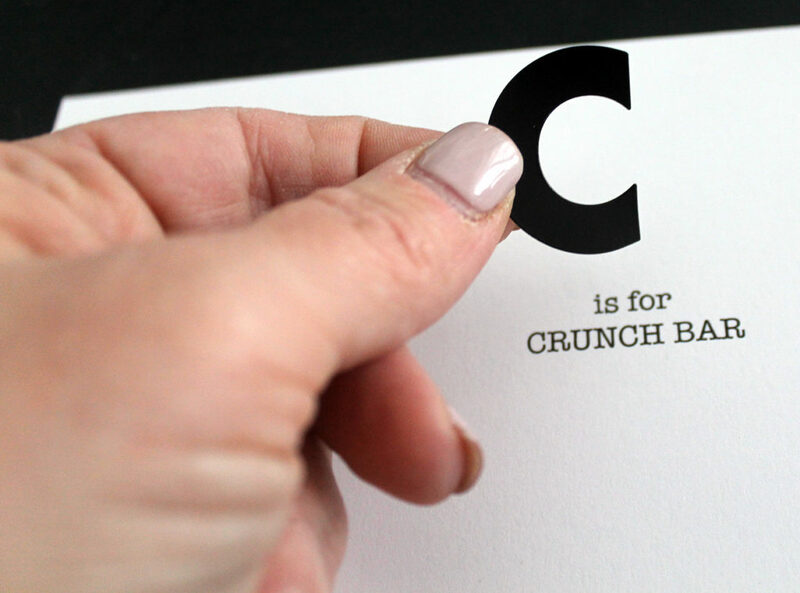 I started by brainstorming candy names that began with the letters that spelled out her character’s name…POCKETS. 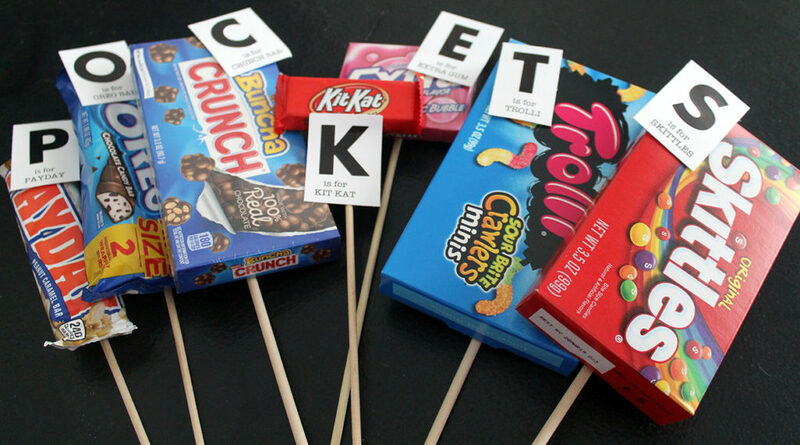 Coming up with some of those candies, especially the vowels, was really the hardest part of making this. 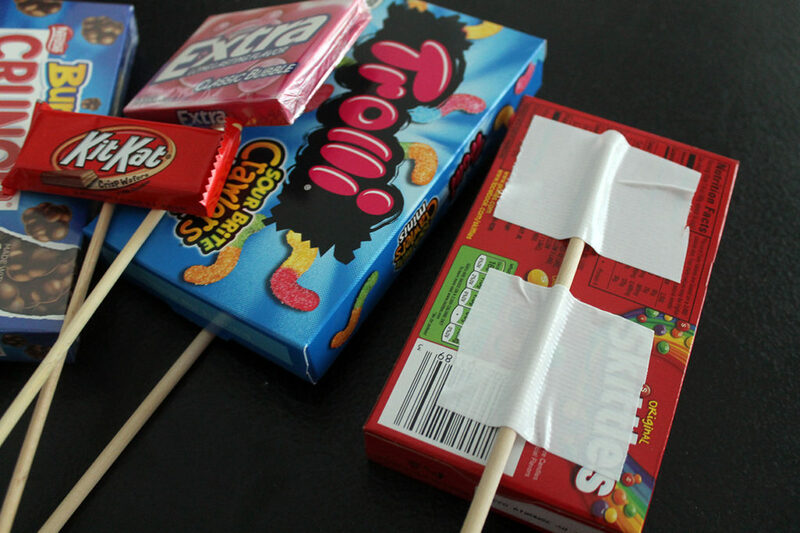 Next, I taped the wooden sticks to the back of each candy…make sure it really supports the candy package and doesn’t fall off. 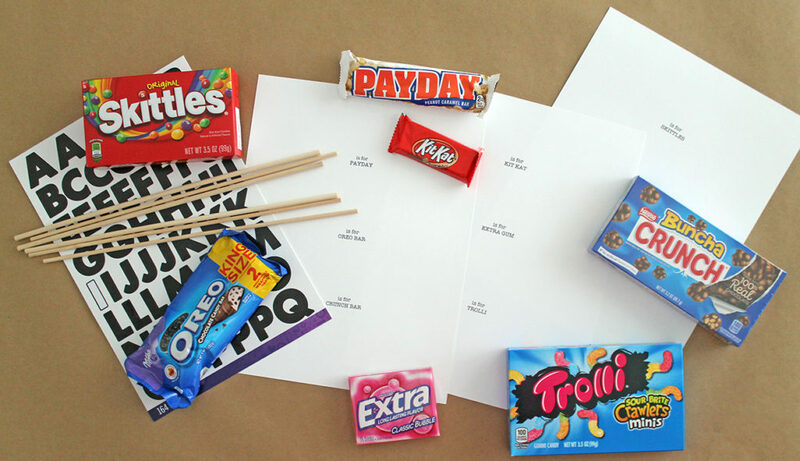 So that it didn’t look like just a bunch of random candy, I attached these tags to the top of each one. I printed the words on my computer, and then attached a large alphabet sticker above the words. 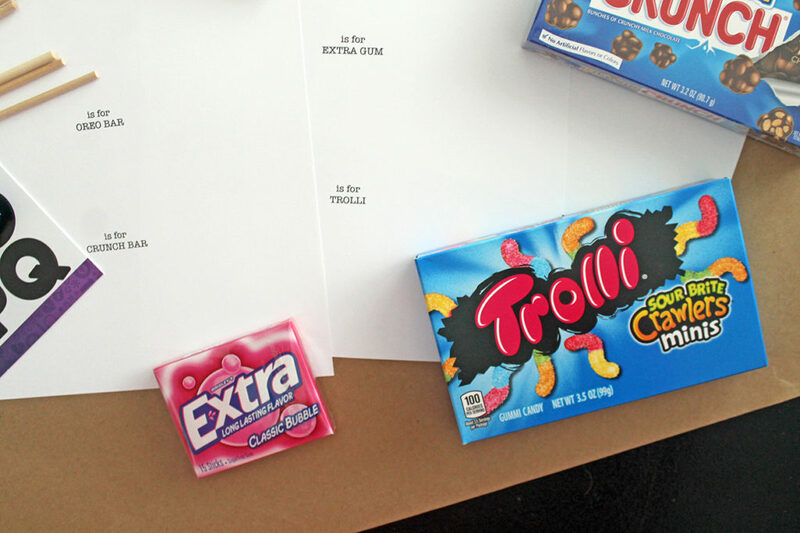 I cut them into squares and attached them, using the tape, to the candy. 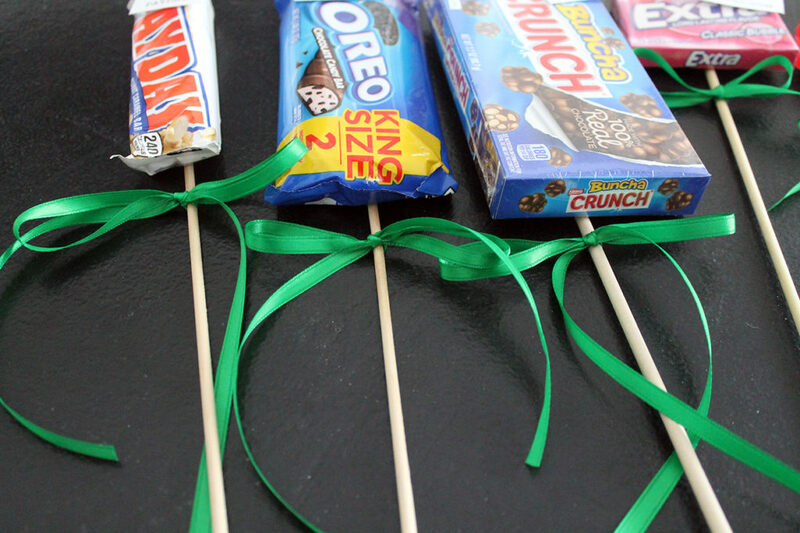 I tied green ribbon under the candy on each stick…I thought maybe it represented “leaves” on the bouquet stems. 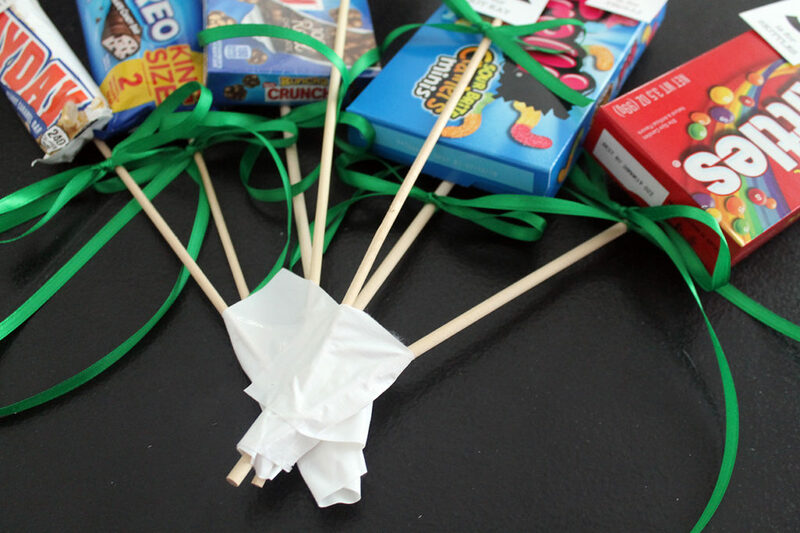 The final step is to gather the sticks and secure them together to make a bouquet. This was a bit tricky, as it was top heavy with so many pieces of candy (why did her her character’s name have to be so long?). Then I wrapped it in brown kraft paper (you could use tissue paper…I just thought the brown kraft paper was sturdier) and tied it with a ribbon and bow. Don’t look too closely at that last picture! 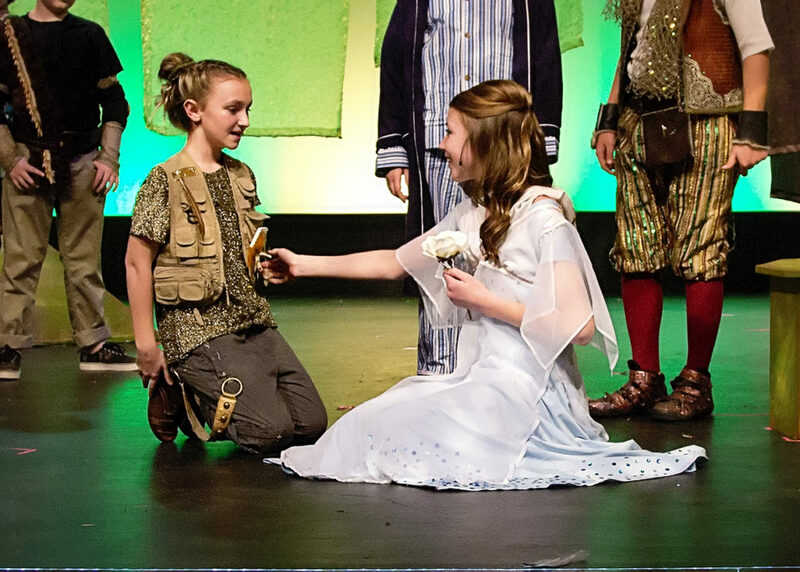 When I presented Claire with the bouquet after her performance, she pointed out that the letters were mixed up (the E and the K are reversed)…I was in too much of a hurry, I guess. 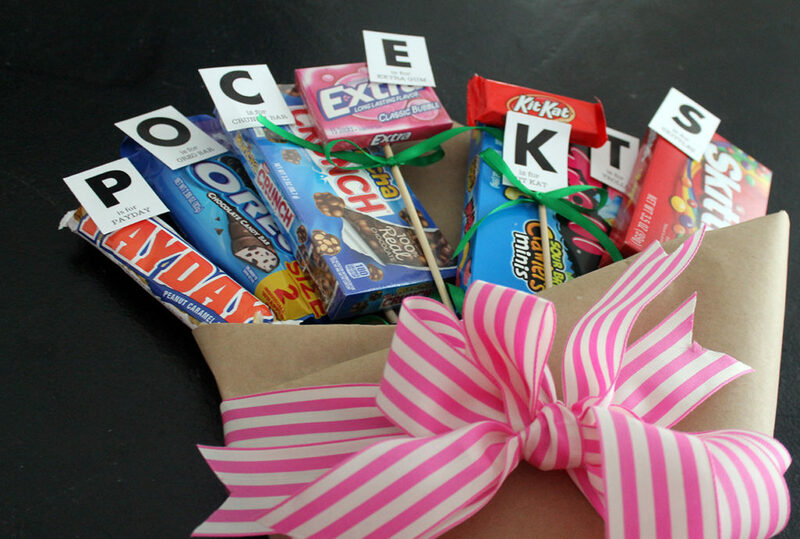 Even with the letters mixed up, I think she enjoyed receiving the candy bouquet!